Special Instructions: Both cover types add up to 28 pages. Ensure PDF file is 28 pages. Custom sizes may be subject to an additional admin charge.. If you are looking to impress your clients, customers or family, calendars can be an ideal not only to present professionally created images and photos, but also to promote your business. You can give them to your customers as a gits; make sure your logo and contact information is there! You can customize each month with pictures or better, the products you are offering! 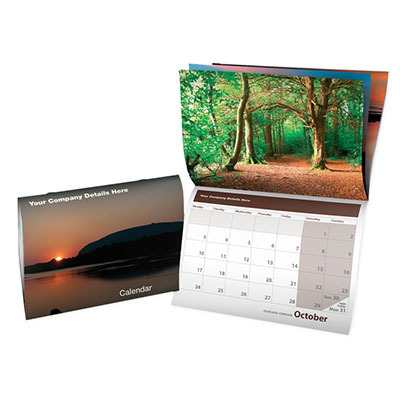 For all your promotional and marketing needs, you can have walls calendars help keep your business relevant throughout the year. We provide you with a selection of size, finishing and bindery to fit your requirements and needs. Our creative team can help you select pictures or images for your calendar to make sure your brand new calendar looks amazing!